Scottish anatomist, surgeon and pathologist who was an early advocate of investigation and experimentation, and a founder of pathological anatomy in England. 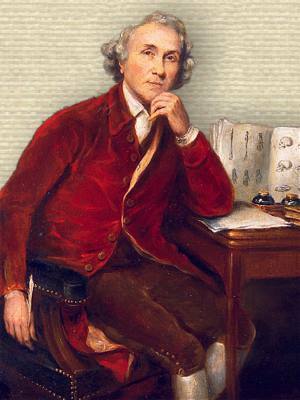 He made many important studies in comparative aspects of biology, anatomy, physiology, and pathology. I thank you for your Expt on the Hedge Hog; but why do you ask me such a question, by way of solving it. I think your solution is just; but why think, why not try the Expt. Letter to Edward Jenner (2 Aug 1775). In A. J. Harding Rains (ed. ), Letters From the Past: From John Hunter to Edward Jenner (1976), 9. Never ask me what I have said or what I have written; but if you will ask what my present opinions are, I will tell you. As quoted by Drewry Ottley, 'The Life of John Hunter', in James Frederick Palmer (ed. ), The Works of John Hunter (1835), Vol. 1, 48. 13 Feb - short biography, births, deaths and events on date of Hunter's birth. The Knife Man: Blood, Body Snatching, and the Birth of Modern Surgery, by Wendy Moore . - book suggestion.